STATEN ISLAND — The work of artists taking part in a Staten Island program will be exhibited for the second time in August. The new show at the Livingston museum will feature Mitsuko Brooks and Heidi Lau, two artists who were selected to be a part of the Snug Harbor Artist Residency Program (S.H.A.R.P) earlier this year, the museum said in a release on Tuesday. “Snug Harbor is delighted to present new work by S.H.A.R.P artists that draw direct inspiration from the vibrant gardens at Snug Harbor” said Lynn Kelly, the garden's CEO, in a statement. Brooks will show photographs that use the botanical garden to document the body as it would look if reclaimed by nature, the statement said. 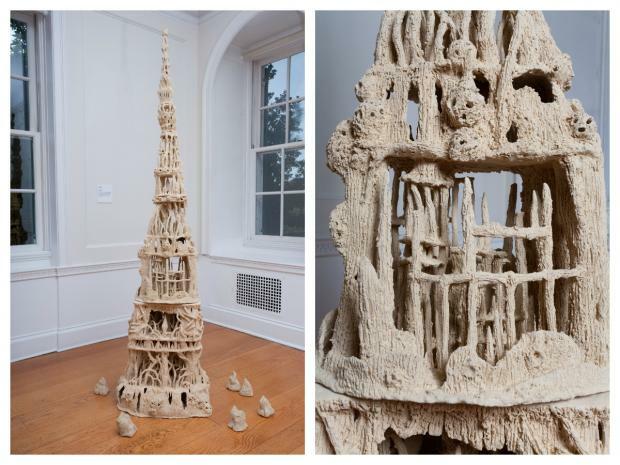 Lau created a series of clay sculptures of fantasy landscapes inspired by rock formations found in Snug Harbor’s New York Chinese Scholar’s Garden. The S.H.A.R.P. program selects eight post-bachelor level artists for a two-month fellowship program, where they are provided studio space, living accommodations at Snug Harbor, materials and mentoring by guest artists and curators of Snug Harbor. The exhibit starts on August 5 at the New House Center for Contemporary Art in Snug Harbor. It will be on display on Wednesdays through Sundays from noon to 5 p.m., until September 16. Admission is $5 for adults, $4 for students and seniors. Children under 12 admitted for free.